How often do you climb into bed, exhausted and desperate to fall asleep, only to end up lying there for hours staring at the ceiling? Maybe you’re replaying your day, or beating yourself up for a not-so-proud mommy moment, or stressing out about your taxes, but whatever it is, those thoughts won’t stop running through your mind and getting in the way of a good night’s sleep. This is me. Since I was in high school, I’ve had trouble falling asleep. It’s like my brain just won’t turn off. I dissect everything that happened that day – what I should have said, what I should have done. I end up stressed out and feeling anxious, and then I get even more anxious as I watch the time slip by and I start calculating how much time I have left before I need to get up. Depending on the severity of my insomnia, I used to take prescription medication on and off, but it always left me feeling loopy at bedtime and groggy the next morning. I was also very aware of their addictive potential and their side effects. When hubby and I started trying for kids, I got rid of all those medications and never looked back. Nowadays, when I have trouble sleeping, I try non-pharmaceutical strategies instead. 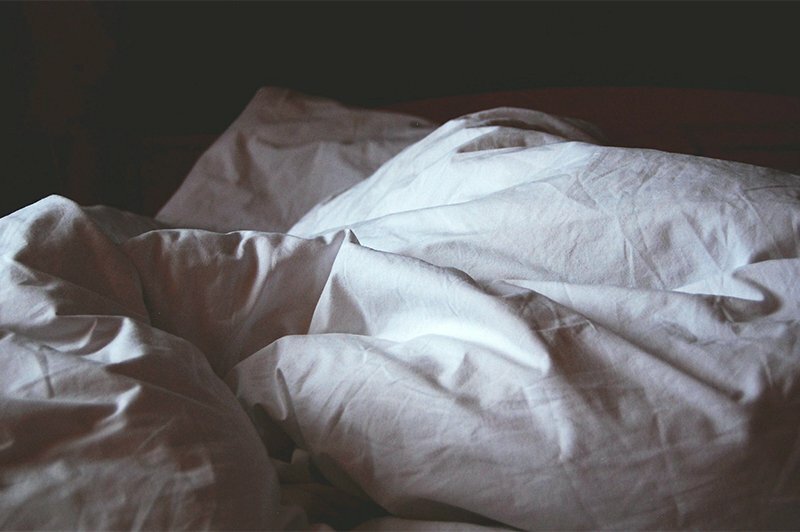 Here are some tried and true ways for improving your sleep quality and overall functioning. 1. Create a restful sleep environment. Make your bedroom a comfortable sanctuary. Choose a quality mattress, supportive pillows, and soft bedding. Keep the room dark (blackout curtains are your friend) and the temperature on the cooler side. You can also add an aromatherapy diffuser, humidifier, or white noise machine to make your bedroom a restful haven. 2. Establish a regular bedtime routine. Try to go to bed at the same time every night. In the same way that we encourage a regular, calming bedtime routine for our kids, having a similar routine for ourselves teaches our bodies to recognize bedtime and prepare for sleep. Maybe it’s a cup of herbal tea and a few minutes with your current novel. Maybe you like to take a warm bath before bed. I freely admit I’m terrible at this, but ideally you should try to keep the same routine on weekend nights too. 3. Avoid stimulants before bed. Avoid stimulants like caffeine (tea, coffee, cola, dark chocolate) and nicotine before bed. Sorry to break it to you, but chocolate does contain caffeine, and the darker the chocolate, the more caffeine it contains. When it comes to caffeine, some people are affected more than others. 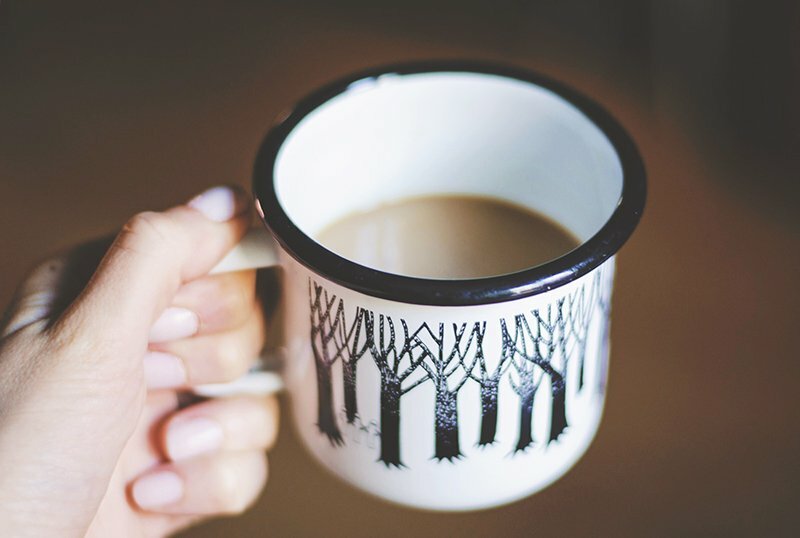 Some can sleep just fine after drinking a cup of coffee a couple of hours before bed, but other people find their sleep disrupted by a coffee at lunchtime. You’re the best judge of when you need to cut yourself off. Even 10 minutes of aerobic exercise during the day is known to improve the quality of your sleep. For best results, exercise on a regular basis but avoid working out right before bed. 5. Avoid screen time before bed. Believe me, I have a hard time with this, but as difficult as it is to do, try turning off all screens for a couple of hours before bed. The blue light emitted by electronic devices like your TV, tablet, laptop, or smartphone actually interfere with your body’s natural sleep-wake cycle and can make it more difficult to fall asleep and to wake up the next morning. When you’re feeling anxious at bedtime (or any time of the day), deep, controlled breathing can help you calm down, feel grounded, and reduce anxiety. Deep breathing increases oxygen to your brain, helps you pay attention to your body, and stimulates the body’s calming parasympathetic response. Next time you’re stressed out or anxious, try square breathing, an exercise named for its 4 steps. Take a deep breath in through your nose for a count of 4, hold it for a count of 4, slowly and evenly exhale through your mouth for a count of 4, then hold for a count of 4 again before breathing in again. While you’re practicing square breathing, place your hand on your stomach and feel it rise and fall with your breath. Do this exercise for 2-3 minutes, focusing on the feeling of air filling and expanding your lungs and then leaving your body. 7. Practice progressive muscle relaxation. Another tool I use to help me relax and calm down before bed is progressive muscle relaxation. Working your way up from your toes to your face and forehead, tighten then relax the muscles in your body. Isolate each muscle group as you go, and pay attention to how your body feels when you relax those muscles. 8. Consider a natural sleep aid. Chamomile tea and warm milk have long been regarded as natural sleep aids, but it turns out there’s not that much solid evidence for either of them. 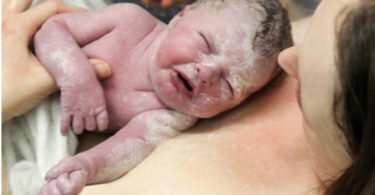 It seems that their value lies mostly in being part of a relaxing bedtime routine that helps prepare you for sleep (see point 2 above). I recently learned about a different natural option: Pharmaton® Sleep Harmony™, made with a patented essential lavender oil called Silexan™. Many people know that lavender essential oil is commonly used in aromatherapy to encourage calm, relaxation, and better sleep, but did you know that ingesting lavender has a more potent effect? Pharmaton® Sleep Harmony™ is a natural health sleep aid that has been shown in randomized, controlled studies to help calm racing thoughts and improve sleep quality in those with mild mental stress, without the side effects or habit-forming potential that many other medications can have. I’m the perfect test case, so I decided to try it for myself. You’re supposed to take one capsule every day to help calm racing thoughts, relieve symptoms of mild exhaustion and mental stress, and improve sleep quality. I take mine just before bed. From the very first one, I slept solidly through the night without any middle of the night wakings. It’s been about two weeks now, and I’ve noticed I feel less anxious during the day as well as at bedtime. It’s not that I’ve stopped going over things in my head, but it’s been noticeably easier to let the thoughts go and fall asleep quicker. I’m also waking up far less in the middle of the night. Of course, nothing works for every single person, but I’ve noticed a positive effect with Sleep Harmony, and I think it’s worth trying. 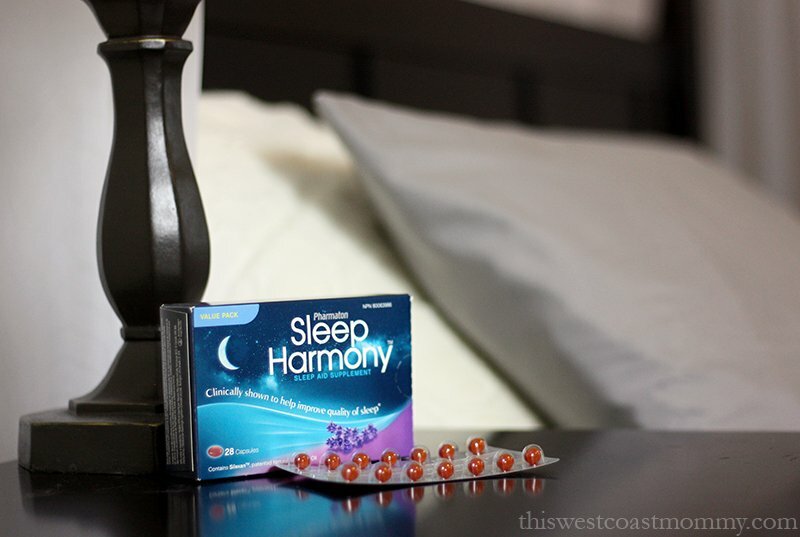 Pharmaton® Sleep Harmony™ is available in the sleep aid section of your local pharmacy. To ensure this product is right for you, consult your doctor and always read and follow the label. If sleep is a challenge for you too, try some of these tips for calming your mind and getting a better night’s sleep. Sweet dreams! Disclosure: This is a sponsored conversation. Nevertheless, all opinions expressed are completely honest and my own, based on my personal experience. Your experience may differ. This information is not intended to substitute for informed medical advice. You should not use this information to diagnose or treat a health problem or disease without consulting with a qualified health care provider. I can’t sleep if there’s any light at all so I use a sleep mask. I’ve also tried lavender sprays that didn’t seem to do much, but I’m interested in this sleeping pill you talk about here. I hate feeling groggy in the morning. This really doesn’t do that? Thanks for all the great tips! I’ve always had a difficult time falling asleep. I really need to focus on the no screen time before bed. The older I get the more I need a good night sleep. I work on a lot of these, but limiting my screen time is a good start. I used to put a drop of lavender oil on my temples & use a white noise app on my phone. They worked, so I need to start doing them again! Thanks for the help with sleep. I’ve always had trouble sleeping but am going to try all the things that you have posted. I really need to follow some of this advice. 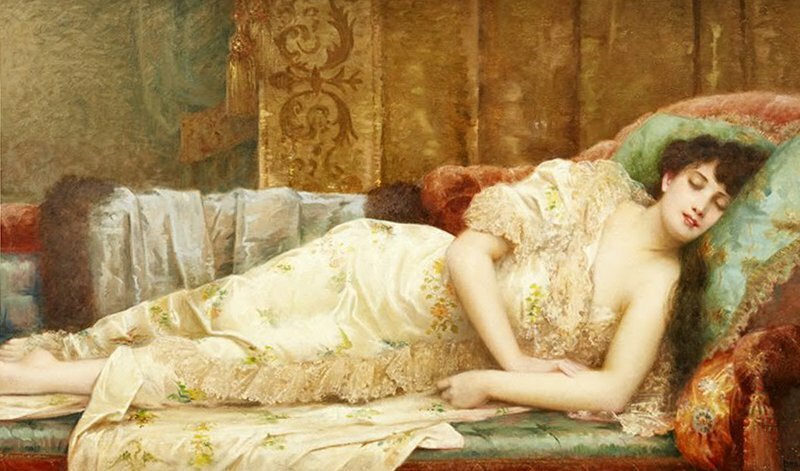 I’ve always had trouble falling asleep at night, and when I am able to sleep, I will wake up several times and sometimes then be awake for hours. I like the idea of having a set bedtime and routine before bed. Makes so much sense as it works well for our son. 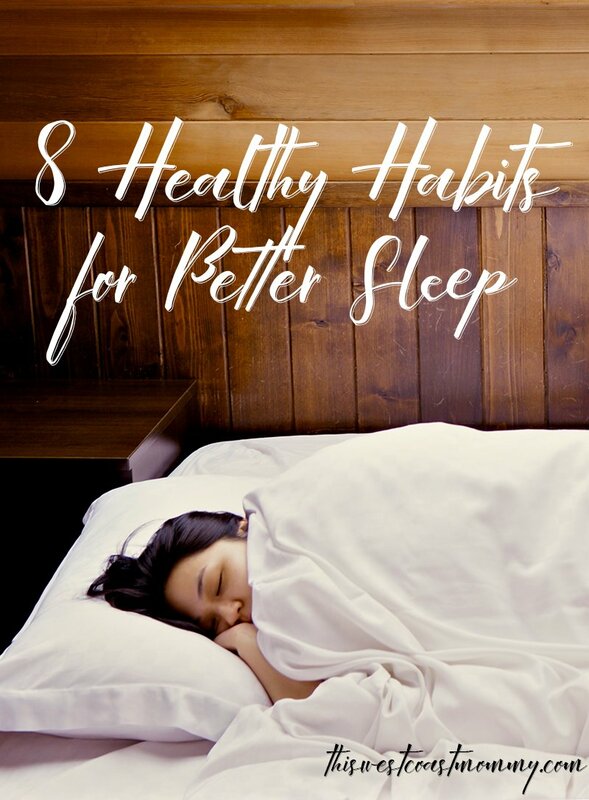 What great tips, I use most of these, I never really had issues with sleeping, thank goodnes. Doesn’t matter how tired I am..as soon as my head hits the pillow and I’m no longer distracted by kids, tv, social media and anything else I do to keep my mind off other things…well those “other” things all come rushing in as soon as I try to relax! !